Why Does My Sunshine Become So Popular? 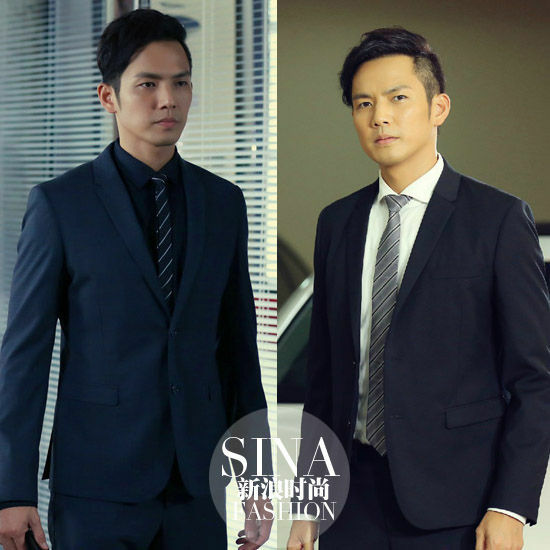 Categories: My Sunshine | Tags: C-Drama, He Yi Sheng Xiao Mo, Tang Yan, Wallace Chung, You Are My Sunshine, 何以笙箫默 | Permalink. Welcome to reality my fellow earthlings 🙂 After the fairytale in Boss & Me with all those luxurious coats, watches, rings and props, we’ll now take a look at what ordinary human beings like us can afford or wear? This post will also explore how poor or cheapskate this production is compared to the lavishness in Boss & Me. I know I know, you are going to put the blame on my WC that most of the budget has gone to pay him. But he is a vegetarian so how much can he eat 😛 ? Anyway this is still an eye opener as I’ve never heard of most of the brands. After these 2 drama, I’ve sort of become more informed in regards to brand names. Anyone has bought anything from these brands before since they are more affordable and casual? Please leave a comment if I’ve missed anything worth noting. More of the handsome guy, the rest of the wedding, another wedding, and flashbacks to young, carefree days. Overall, a pretty sunshine-y episode of My Sunshine. The blog has just hit 2 million views and it is not even 2 years old yet, still a baby in the blogosphere, lol. Thank you to all the contributors and supporters who helped the blog to achieve its milestone so soon 🙂 Also a big thank you to Gu Man and her Shan Shan and Yi Chen which are helping the blog to grow up fast. I feel a bit jealous of hoju because she got such a fun-filled episode 29 and what do I get? Oh mother, I am stuck with Mo Sheng’s mum for half of the episode and the other half with that Yuan Feng. The only silver lining in my cloud is at the end when the wedding was held. As you would have noticed, update has slowed down because we hate to say good-bye. Cry, cry, why I get to recap such a boring episode :(? Except WC in his flora print shirt, this episode put me to sleep. Hence I am going to concentrate on his shirt 🙂 Hey Anon, are the gifs below the extra bits you mentioned in the condensed version. I honestly can’t spot anything extra compared to the drama. Anyway, I am including them here to spice up the episode rcap lol. Lots of rants and opinions from hoju in this recap. :p Lots of characters that annoy me to write about, but also the last of the 7 years of misunderstanding is cleared up!